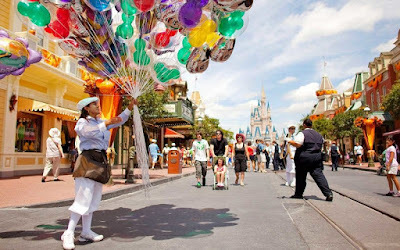 There was an excellent article that was just published, by Travel + Leisure, which discussed the better times of year to visit the Walt Disney World Resort, as well as the not so great times. When considering the criteria for making their judgements, they evaluated travel expenses, pricing at both on-site and off-site Disney World properties, the volume of visitors in the parks, and, of course, the price of park tickets. They found some very interesting things, and their full article can be found here. As for a couple of the good, many of the best deals of the year can be found in the first two months after the New Year, coming right around the corner. During this time, park volume is way down, and discounts at both Disney property hotels, and off-site hotels, are approaching 50%. However, that doesn't mean it's a steal of a deal for the whole two months. Visitors will want to avoid the Martin Luther King Day holiday weekend, as well as February's school vacation week. Check out the article for more information.